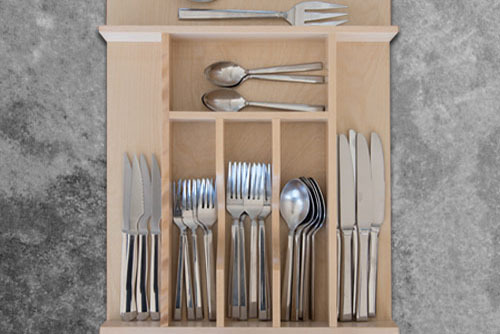 Our Large Custom Wood Cutlery Organizer is ideal for storing large amounts of silverware in one drawer. 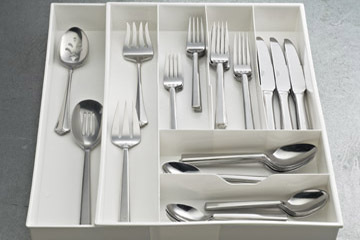 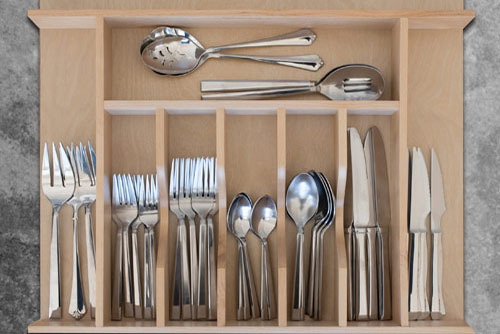 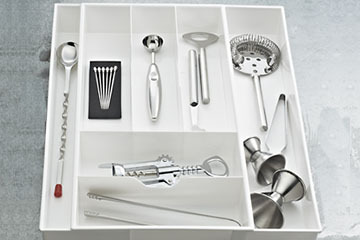 The numerous slots allow you to store the flatware basics – forks, spoons, knives – and the extra serving pieces. 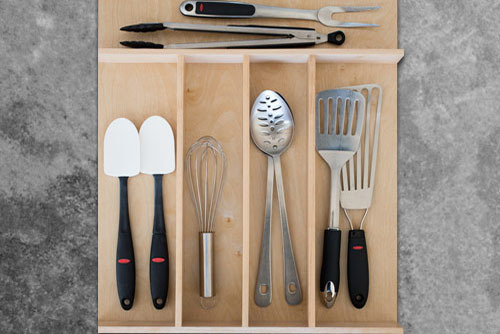 Made of classic maple hardwood with a UV-cured clear finish to ensure an acceptable match to any kitchen cabinet.